Being able to rebuild an existing Debian package is a very useful skill. It’s a prerequisite for many tasks that an admin might want to perform at some point: enable a feature that is disabled in the official Debian package, rebuild a source package for another suite (for example build a Debian Testing package for use on Debian Stable, we call that backporting), include a bug fix that upstream developers prepared, etc. 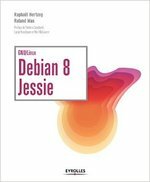 Discover the 4 steps to rebuild a Debian package. Note that the lines start with “deb-src” instead of the usual “deb”. This tells APT that we are interested in the source packages and not in the binary packages. After an apt-get update you can use apt-get source publican to retrieve the latest version of the source package “publican”. You can also indicate the distribution where the source package must be fetched with the syntax “package/distribution“. apt-get source publican/testing will grab the source package publican in the testing distribution and extract it in the current directory (with dpkg-source -x, thus you need to have installed the dpkg-dev package). Need to get 727 kB of source archives. If you don’t want to use APT, or if the source package is not hosted in an APT source repository, you can download a complete source package with dget -u dsc-url where dsc-url is the URL of the .dsc file representing the source package. dget is provided by the devscripts package. Note that the -u option means that the origin of the source package is not verified before extraction. Again APT can do the grunt work for you, you just have to use apt-get build-dep foo to install the build-dependencies for the last version of the source package foo. It supports the same syntactic sugar than apt-get source so that you can run apt-get build-dep publican/testing to install the build-dependencies required to build the testing version of the publican source package. If you can’t use APT for this, enter the directory where the source package has been unpacked and run dpkg-checkbuilddeps. It will spit out a list of unmet build dependencies (if there are any, otherwise it will print nothing and you can go ahead safely). With a bit of copy and paste and a “apt-get install” invocation, you’ll install the required packages in a few seconds. I won’t detail this step since it depends on your specific goal with the rebuild. You might have to edit debian/rules, or to apply a patch. But one thing is sure, if you have made any change or have recompiled the package in a different environment, you should really change its version number. You can do this with “dch --local foo” (again from the devscripts package), replace “foo” by a short name identifying you as the supplier of the updated version. It will update debian/changelog and invite you to write a small entry documenting your change. The last step is also the simplest one now that everything is in place. You must be in the directory of the unpacked source package. Now run either “debuild -us -uc” (recommended, requires the devscripts package) or directly “dpkg-buildpackage -us -uc”. The “-us -uc” options avoid the signature step in the build process that would generate a (harmless) failure at the end if you have no GPG key matching the name entered in the top entry of the Debian changelog. dpkg-deb: building package `publican' in `../publican_2.1-2rh1_all.deb'. The build is over, the updated source and binary packages have been generated in the parent directory. Do you want to read more tutorials like this one? Click here to subscribe to my free newsletter, you can opt to receive future articles by email. Most packages contain files that you don’t need: for example translations in languages that you don’t understand, or documentation that you don’t read. Wouldn’t it be nice if you could get rid of them and save a few megabytes? Good news: since dpkg 1.15.8 you can! dpkg has two options --path-include=glob-pattern and --path-exclude=glob-pattern that control what files are installed or not. The pattern work the same than what you’re used to on the shell (see the glob(7) manual page). Passing those options on the command-line would be impractical, so the best way to use them is to put them in a file in /etc/dpkg/dpkg.cfg.d/. 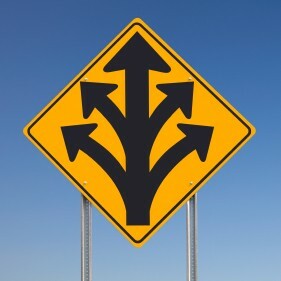 Beware, the order of the options does matter: when a file matches several options, the last one makes the decision. 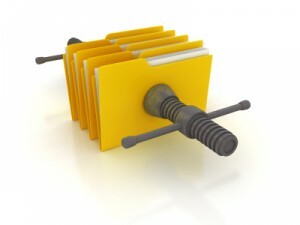 Note that the files will vanish progressively every time that a package is upgraded. If you want to save space immediately, you have to reinstall the packages present in your system. aptitude reinstall or apt-get --reinstall install might help. In theory with aptitude you can even do aptitude reinstall ~i but it tends to not work because one package is not available (either because it was installed manually or because the installed version has been superseded by a newer version on the mirror). Found it useful? Click here to see how you can encourage me to provide more articles like this one. In the comments of the article explaining how to generate different dependencies on Debian and Ubuntu with a common source package, I got asked if it was possible to apply a patch only in some distribution. And indeed it is. The source package format 3.0 (quilt) has a neat feature for this. Instead of unconditionally using debian/patches/series to look up patches, dpkg-source first tries to use debian/patches/vendor.series (where vendor is ubuntu, debian, etc.). Note that dpkg-source does not stack patches from multiple series file, it uses a single series file, the first that exists. So what’s the best way to use this? Debian should always provide debian/patches/series, they are supposed to provide the default set of patches to use. Any derivative cooperating with Debian can maintain their own series files within the common VCS repository used for package maintenance. They can drop Debian-specific patches (say branding patches for example), and they can add their own on top of the remaining Debian patches. It’s worth noting that it’s the job of the maintainers to keep both series files in sync when needed. dpkg-source offers no way to have stacked series files (or dependencies between them). If you want to use quilt to edit an alternate series file, you can temporarily set the QUILT_SERIES environment variable to “vendor.series”. Just make sure to start from a clean state, i.e. no patches applied. Otherwise quilt will be confused by the sudden mismatch between the series file and its internal data (stored in the .pc directory).